What else is this about? : PTSD, I feel. Frankie is still dealing with the ramifications of her ordeal and they affect her current case, and how those around her view her. 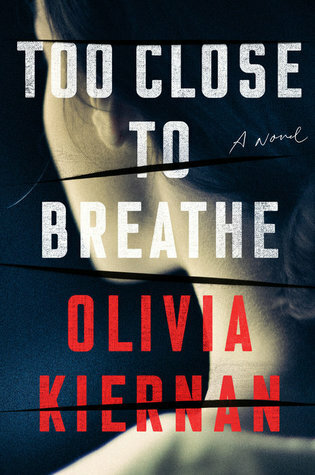 Blurb: Olivia Kiernan’s tautly written debut novel immerses readers in a chilling murder case . . . and the tantalizing, enigmatic victim at the center of it all. Detective Chief Superintendent Frankie Sheehan would be more than happy to declare it a suicide. Four months ago, Frankie’s pursuit of a killer almost ended her life and she isn’t keen on investigating another homicide. But the autopsy reveals poorly healed bones and old stab wounds, absent from medical records. A new cut is carefully, deliberately covered in paint. Eleanor’s husband, Peter, is unreachable, missing. A search of the couple’s home reveals only two signs of personality: a much-loved book on art and a laptop with access to the Dark Web. When I first started reading Too Close to Breathe I thought for sure I must have missed book one, but I haven’t. Instead Olivia Kiernan has taken a different tack on introducing us to Frankie. The book opens on Frankie’s first case back at work after being the victim of a killer in her last case. By all accounts, she is presenting the picture of someone doing all the right things to get back to work, but she is, in reality, not quite there yet. It is PTSD in some form, I think, though I am hardly the expert. The current case she’s on involves the murder of a professional, prim and proper Eleanor Costello, and while it could have easily been ruled a suicide, it isn’t. From there, the case snowballs, drawing in figures from Eleanor’s very regimented and secretive life, and casting suspicion on her missing husband. Inbetween this case, the full-ish story of Frankie’s experience previously comes out – her attack, the pending court case and the victim she tried to save. Kiernan has chosen an interesting way to mould Frankie, though I am not entirely sure it’s my cup of tea. 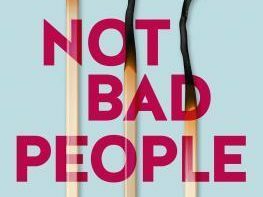 Frankie’s experiences had a my attention a little more in the beginning of the book, while it felt like the mystery took some time to find its groove – perhaps there needed to be more balance between these two plot lines. That said, this was an intense read for Frankie’s experiences, where Kiernan seems to prefer the “less is more” way of writing. 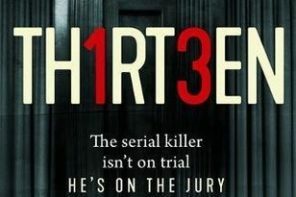 The current case itself was intense too and by the end I was pretty impressed with an unexpected conclusion. Too often “unexpected” is code for the author didn’t lay down the right breadcrumbs for readers to make sense of the ending, but here, that’s not the case. Kiernan is a subtle writer, weaving the threads of the case together until the end. 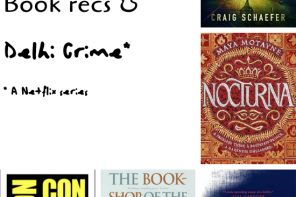 Next article#5Books: Book recs and okay, has the Xmas crazy started where you are? I like the sounds of this one! Frankie past coming part of this book sounds like a great addition to the ongoing mystery they are trying to solve too. Great review. It was quite an unexpected mix of her past and present, but it worked in the end. The case especially ended up somewhere I didn’t expect! Great review. I find it intriguing how the author chose to introduce Frankie and her backstory. I can’t decide if it would work well for me as a reader or not — I could see myself wondering if I had missed a book as well — but I do like the uniqueness of it. TY! It took me some time to figure out if it would work with me — and some bits worked, others not so much, but overall, like you said, the overall package is pretty unique. I’m really quite curious as to how this series is going to progress. That’s neat that there’s layers to the victim even, and it does sound like the author chose a kind of unique starting point for Frankie’s character and way of introducing her. Glad to hear the ending was good though and that the author was able to weave everything together! I was actually a bit surprised as to how much I got into it, and then how it all came together. I am very, very curious as to how this series is going to progress, especially with respect to Frankie’s character.